Of the four seasons in Greenland, it's no secret that winter is the longest and most dominant. On the other hand, spring, summer and autumn are short. However, autumn contains a myriad of gifts in the form of golden foliage and the most exciting natural phenomena: the Northern Lights. 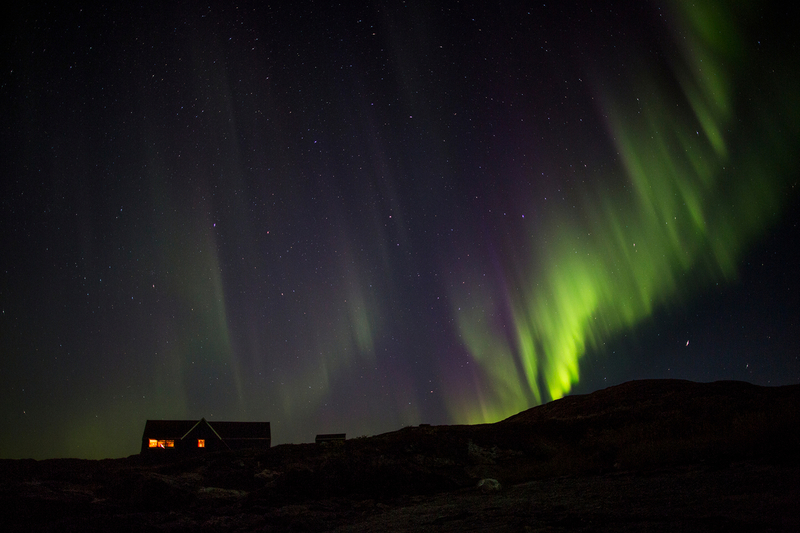 Kangerlussuaq is only 25 km from the Ice Cap and is one of the best places in Greenland to view the Northern Lights. 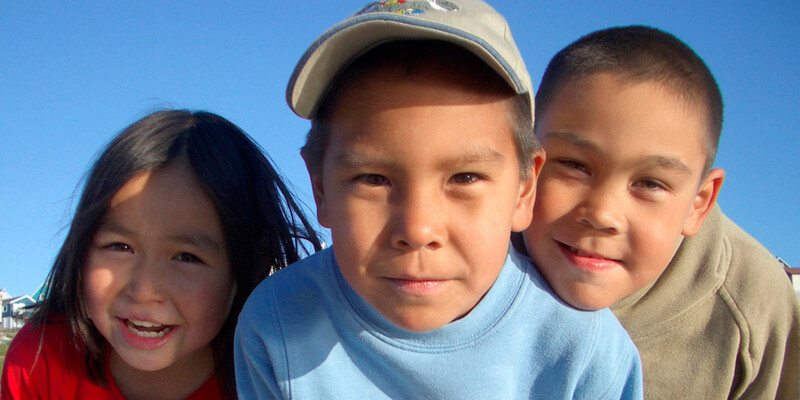 On this journey you’ll learn about local stories attached to the Northern Lights in Greenland. 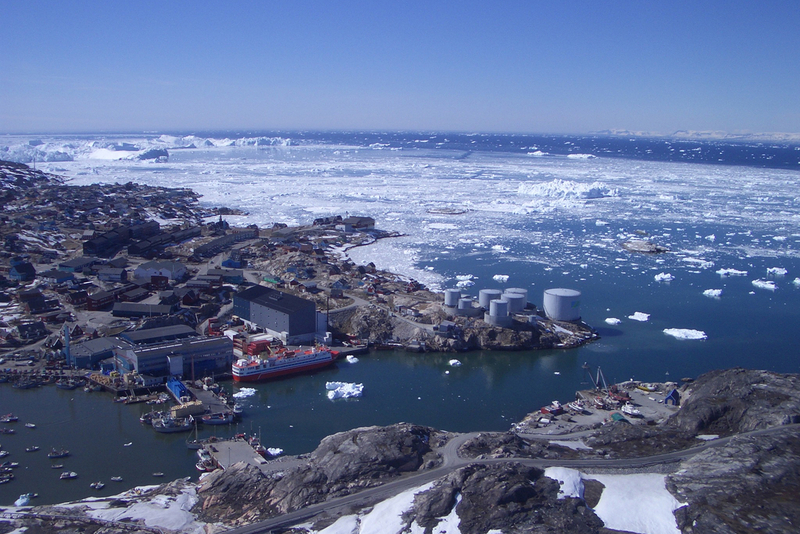 Ilulissat Icefjord is a beautiful and interesting place, regardless of the season. It has its own very special colours for each period, but the autumn offers the most dramatic colour contrast. The day often ends with blazing Northern Lights filling the sky. 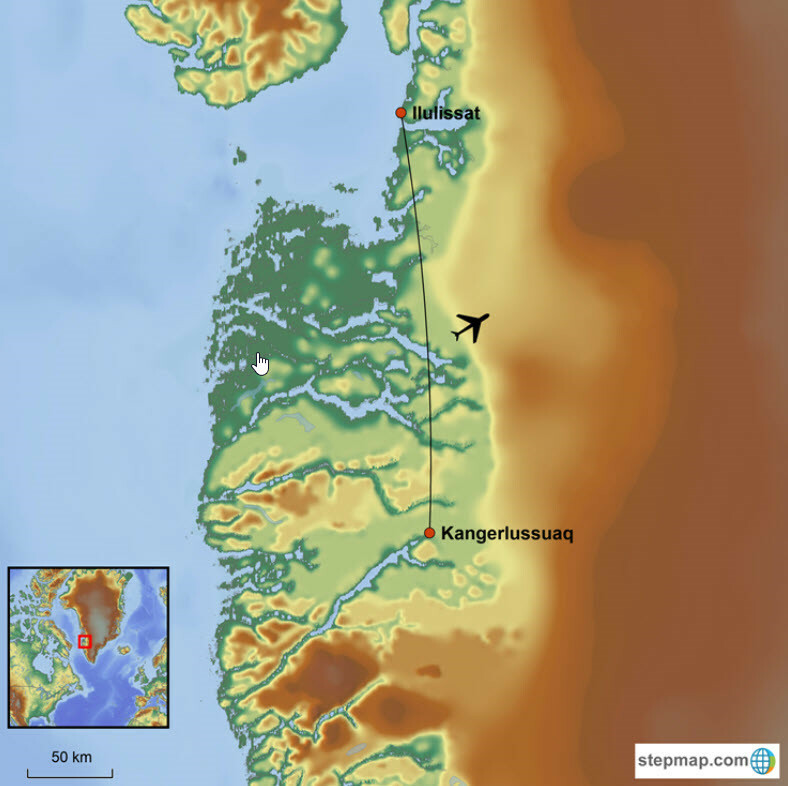 The gateway to Greenland is Kangerlussuaq, reached by direct flight from Copenhagen. An exciting trip to the Inland Ice Cap awaits you, with the opportunity to walk on it. 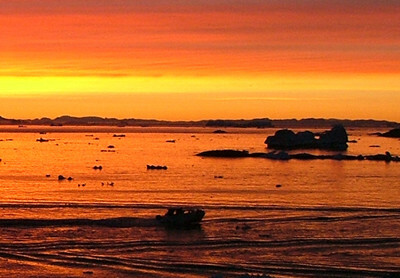 Short and scenic domestic flight 300 km north to the iceberg capital Ilulissat, where you’ll stay at Hotel Icefiord. Afternoon guided tour of the ‘city’. 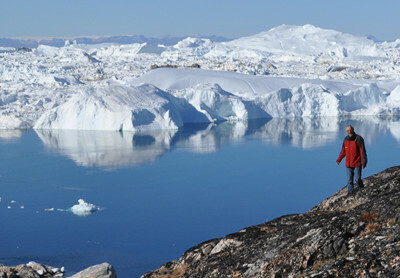 Today is at your disposal in Ilulissat, with optional excursions to choose from. You have one more free day for optional excursions. Return home from Ilulissat to Copenhagen via Kangerlussuaq. Your adventure begins with a flight to Greenland's main gateway, Kangerlussuaq. Kangerlussuaq is really "just" an airport town with a population of around 600 people. Located at the end of a 190 km long fjord, there is a school, church, nursing home, leisure facilities and a few shops. Outside the town you’ll find amazing scenery and wildlife. Spend the next 2 nights at Polar Lodge hostel, just 100 meters from the airport. Kangerlussuaq was founded by the Americans during World War II and was a military base until 1992. Today, it’s a small civilian population, however the buildings and barracks left by the American military are now used to support the airport operations and community. Tonight will be your first opportunity to view the Northern Lights. We have some good advice for you: Take an afternoon nap. Greenland is 4 hours behind Denmark, so by this evening you’ll feel a little jet-lagged and ready for bed, before the Aurora action begins. Kangerlussuaq is one of Greenland's best Northern Lights destinations. A guided tour offers much more than just seeing the Northern Lights by going outside and looking up. 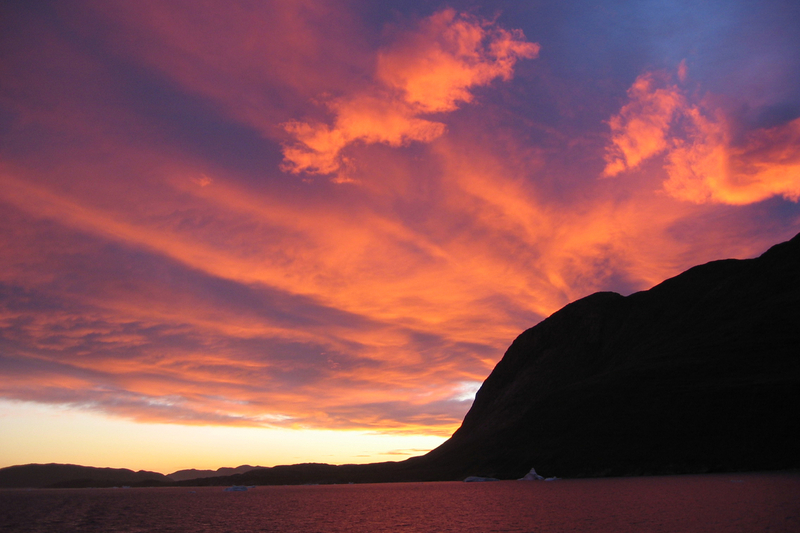 Your guide will explain the phenomena and tell stories surrounding the Northern Lights in Greenland. The evening ends with a small "Northern Lightshow" in the form of delicious hot Greenlandic coffee. Today’s guided tour is to “Point 660” at the edge of the ice cap. The inland ice reaches the coast in many parts of Greenland, but there are few places with direct access to enable a walk on the ice. 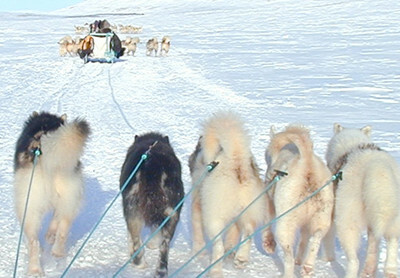 The trip takes you through tundra, valleys and rivers. If you're lucky, you may see reindeer and muskoxen. After 1½ hours driving through wilderness, the bus reaches the edge of the ice cap, and you get a true sense of scale. This evening we recommend dinner at Restaurant Roklubben, renowned for using locally sourced produce. Ask the staff at Polar Lodge for help with booking and to check if the famous Greenlandic buffet is available this evening. Reservation is required and includes a bus transfer. The restaurant is located 5 kilometres from Kangerlussuaq, on the bank of Lake Ferguson. Remember one important thing: LOOK UP!!! This is a great spot to see the Northern Lights. Kangerlussuaq is Greenland’s main air transportation gateway. This small airport town belongs to Qeqqata Municipality, and has a population of approx. 600 people. Just 40 km from the ice cap, the town offers much more than an airport. 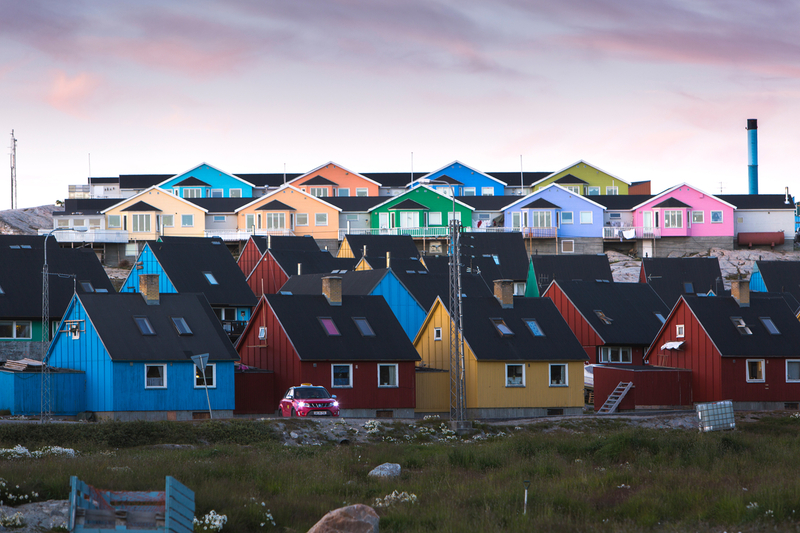 You’ll be transferred by bus from Ilulissat Airport to your comfortable accommodation at Hotel Icefiord, where you’ll be staying for the next 4 nights in a seaview room. This afternoon you’ll take a guided city walk to gain insight into everyday life and a little about local history. 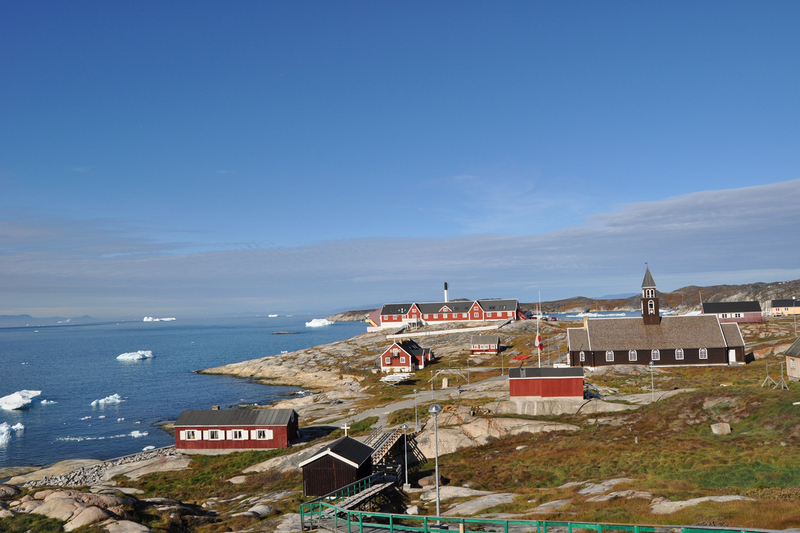 Today is at leisure to explore Ilulissat as you wish. You may like to relax and enjoy the local atmosphere around town, go to a café, visit the art museum or one of the local artisan studios. If you’d prefer to make the most of your time with some guided excursions, we have a good selection to choose from, including tours with a Northern Lights theme. See the excursion selection here. Today’s focal point is the icefjord. 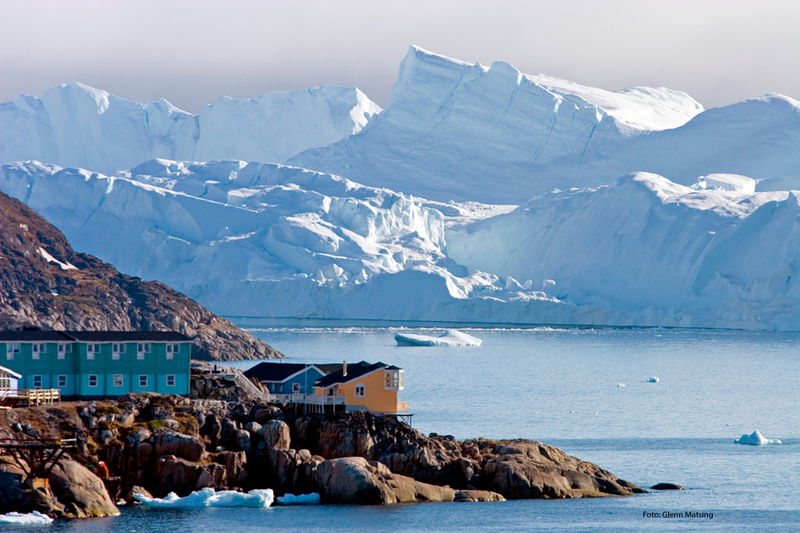 Ilulissat Icefjord was admitted to UNESCO’s World Heritage List in 2004. This morning’s guided hike will take you back thousands of years as you visit the ruins of the historic Inuit settlement of Sermermiut. 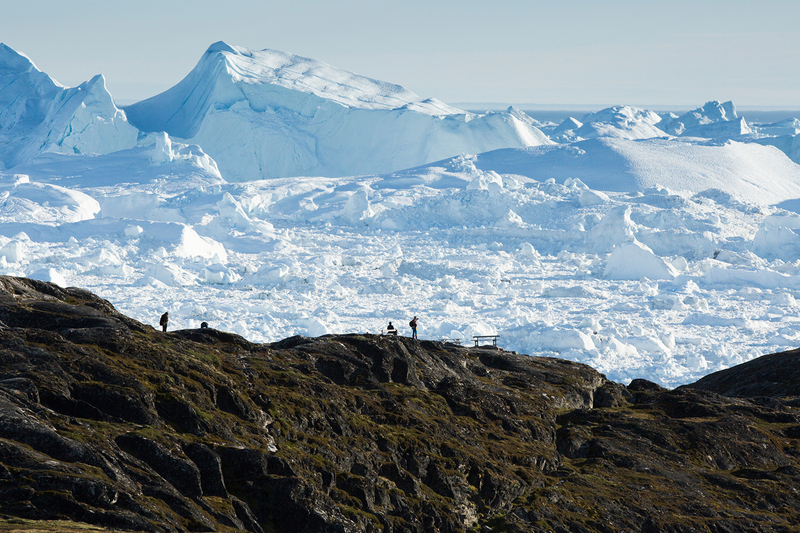 Beautifully situated on the outskirts of Ilulissat, the hike is about 5 km and reasonably easy. 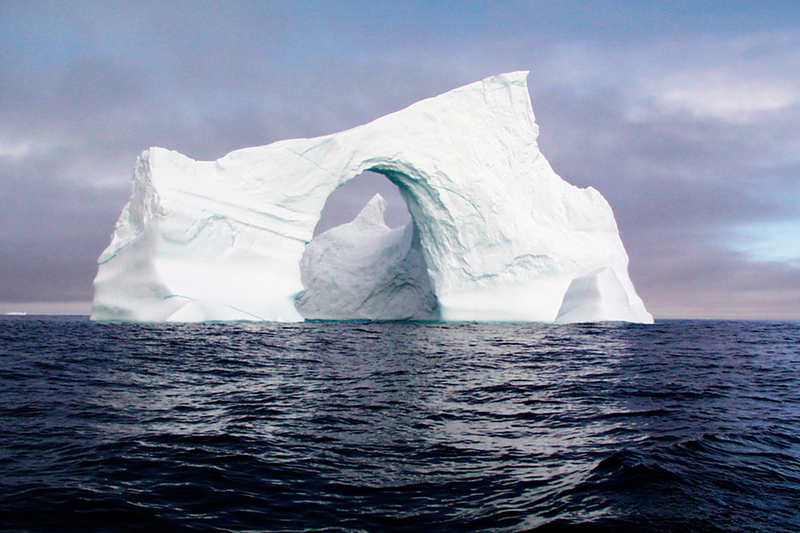 This afternoon you’ll cruise among the icebergs. Many are bigger than a football field and over 100 metres high. 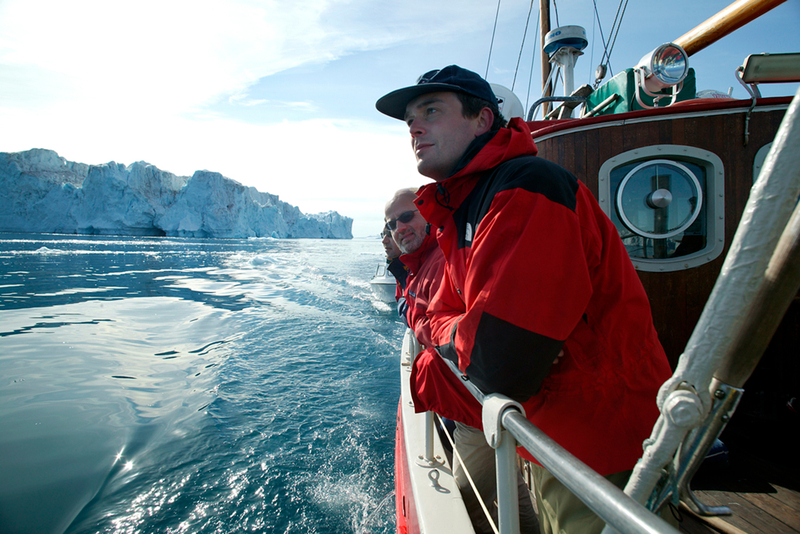 Your guide will explain about the inland ice, glaciers and the huge icebergs which lay stranded just south of Ilulissat. Warmly dressed and with spare charged camera batteries, you’ll find it easy to capture amazing photographs. The autumn colours on land make a nice contrast to the icebergs, especially when bathed in the special light at this time of year. 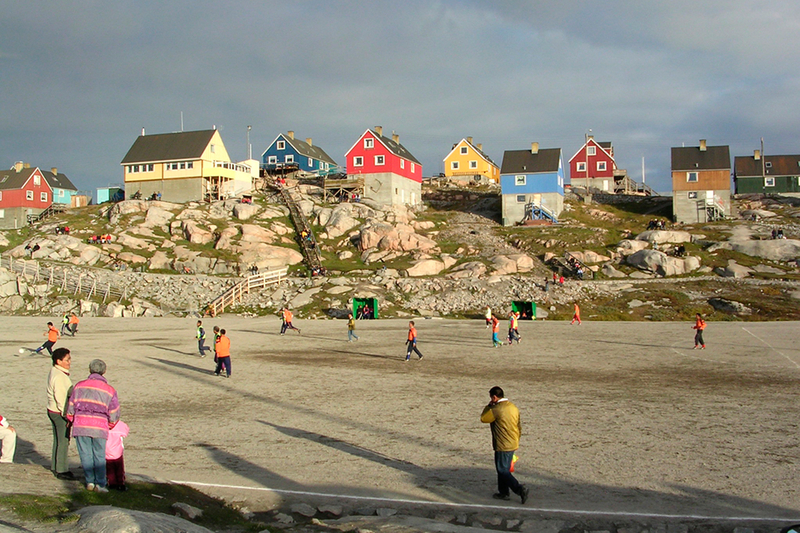 Greenlandic church services typically start at 10:00 hrs. It can be an interesting experience, especially if there is a baby christening, wedding or choir. The Zion church near the water is beautiful, still popular for religious services and is a natural gathering point for many locals. 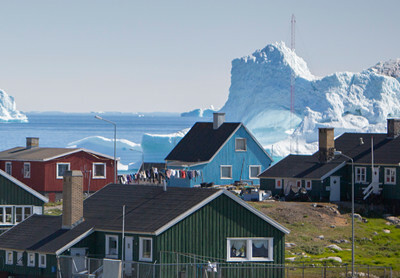 Some tourists have been fortunate enough to be invited to coffee by locals, and thus closer to ‘real Greenland’. If you receive a personal invitation, remember to bring a little gift for your hosts. With hopefully a memory and camera full of Northern Lights, the adventure is now over. 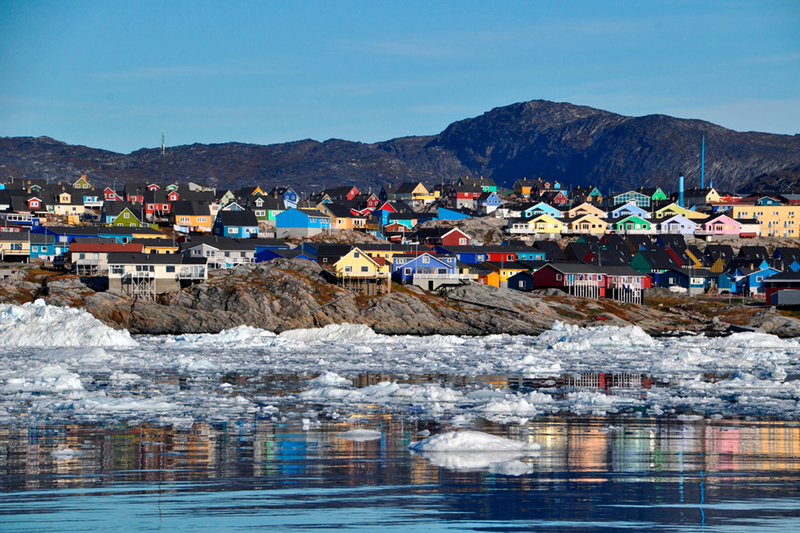 Your homeward journey starts from Ilulissat with a flight to Kangerlussuaq and onwards to Copenhagen. If you would like more days to fully explore our wonderful part of the world, we have excellent knowledge of Greenland and can tailor an itinerary according to your wishes. Please contact us for information. The Northern Lights (Aurora Borealis) occur when electrically charged solar particles collide with the Earth’s magnetic field. Attracted to the magnetic poles, the particles produce dazzling Auroral light when they collide with oxygen and nitrogen atoms: North Pole = Northern Lights / Aurora Borealis and South Pole = Southern Lights / Aurora Australis. This phenomenon occurs year-round but is seen only in dark, clear skies. 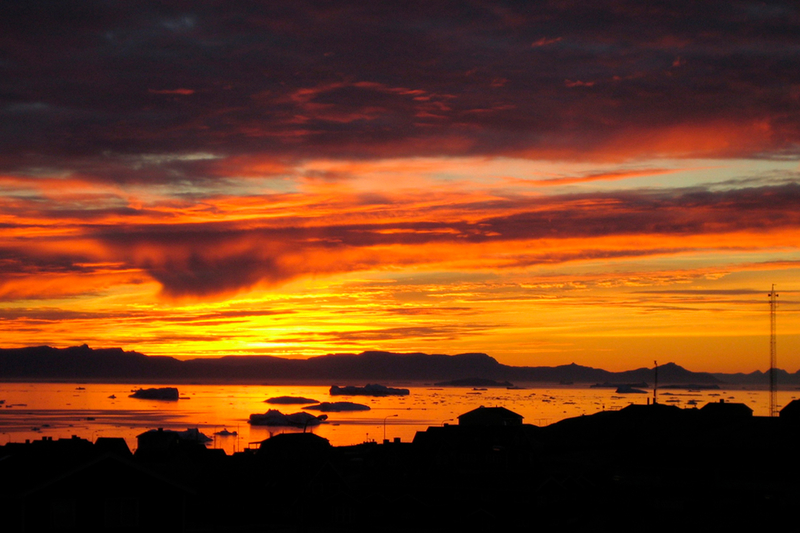 In Greenland it is best experienced in autumn and winter, with some places better than others. ** We have chosen Polar Lodge hostel as we think it is the nicest accommodation for this trip. If you prefer a room with a private bathroom and toilet (Hotel Kangerlussuaq), this can be arranged at extra charge.